Doesn't this make you think of Spring? 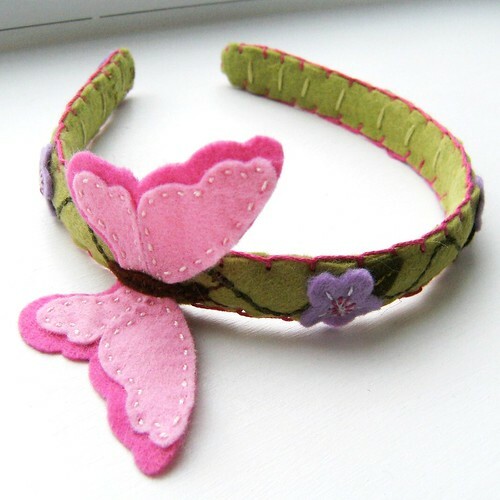 This hair band has been designed, hand cut and stitched by Clara Clips. Clara's shop features all sorts of felt goodies! 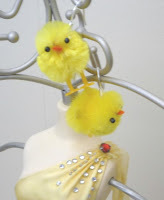 I was immediately drawn to the finger puppets she has created, as well as the vintage styled dress up dolls. Her shop also carries felted purses and all kinds of fun hair accessories. All of the items in the shop have been designed and created by Clara. Copyright 2011 Oh Canada Team and claraclips. 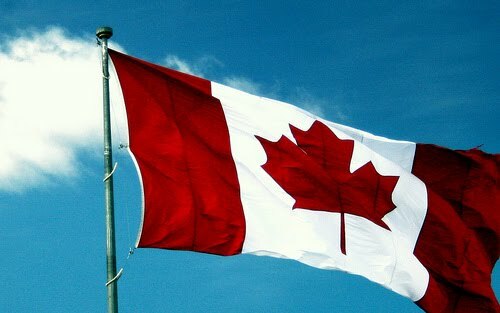 There are 3 more days remaining in the Oh Canada! Team Spring Thaw sale! We are lucky that quite a few team shops are participating. Each offers a wide range of items at a range of price points. You can see them all here, as well as check out the specifics of each shop's sale. During this special sale week several teammies have curated some gorgeous treasuries filled with items from participating shops to highlight the variety and depth of talent of our great team, which you can see below. Each image is clickable and will take you directly to the live treasury on Etsy so that you can fully appreciate the great creative and curatorial talents of our team. Thanks to: JanJat, Junquete, LeanneDesigns, LittleBearsMom (as TeamOhCanada), RecycledandResewn, and TheOldBarnDoor for curating such lovely treasuries! In the spotlight this month is My Victorian Cottage. I am pleased to feature a vintage shop for the very first time in the Shop Spotlight segment. Dianne, the shop owner runs her shop out of beautiful Ontario. Her shop specializes in vintage housewares, fabric, buttons, linens, notions, and clothing sourced from local estates. I fell in love with all of her vintage treasures and I know you will too. Vintage has a very huge place on Etsy and I am proud to bring a part of all that vintage goodness to the Shop Spotlight. Dianne: Vintage fabrics and textiles are my favourite. I think it's genetic. I learned to sew when I was very young and I remember my father feeling all the fabrics in stores. When I got involved with vintage I just gravitated to that. Oh Canada: When did you develop an interest in vintage items? Dianne: I went to an auction over 20 years ago and got hooked right away. Then like many dealers I started selling so I could keep buying. The buying is the best part. Oh Canada: Why do you have such a love for vintage wares? Dianne: I rarely buy anything retail, even then it has to be some kind of deal. I love that vintage is different. It's not what everybody else has. It's very inexpensive compared to new. It's my lifestyle now. Oh Canada: How do you select which vintage items to add to your shop? Where do you find your vintage treasures? Dianne: I select a lot of my items to sell because they fit through "the slot". Postage is the bane of my internet selling existence. That said, I also list things that I really don't expect to sell. I buy for shows and rather than have things just waiting I list them for the exposure, like vintage metal tackle boxes. Anything metal is so current and whenever I list or renew a tackle box they get immediate hearts and are chosen for treasuries. I have sold a few on etsy but they are more for the exposure value. I shop at auctions, thrift stores, the outdoor antique markets. Aberfoyle is the best locally, and twice a year I go to Brimfield, Massachusettes for the biggest outdoor shows ever. First show is in May and I absolutely can't wait. When the team was talking about vacations on beaches I was thinking about my upcoming road trip. For me, that's the best vacation. Dianne: This business is a lot about reinventing yourself to stay current, always trying new things. 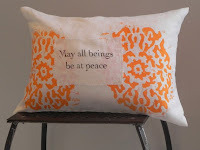 I did recently start selling the pillows and bags I sew in a new etsy shop. Dianne: I still love that total surprise when I check in and I have a sale. I love the new Activity Feed. I also love that buyers aren't afraid to spend money here because they recognize the value of Etsy. Dianne: Of course, you need good pictures. I think you need to be offering something that people want to buy. I don't know exactly. Etsy is still a lot of mystery to me, why some people get so popular and others don't. I like being on the Oh Canada Team. Etsy is a huge place and this makes for some sense of community. List and relist too for exposure in the searches. I know not everybody agrees with the relist thing. Dianne: I'm too practical. I think the best things to buy are supplies, zippers, findings, fabric, etc. So much choice and really good prices. Dianne: The buttons are my best sellers. I just have to keep focused and list more. Visit My Victorian Cottage to see her lovely selection of vintage wares. You can also keep up with Dianne in her two other shops. In From The Workroom you will find beautiful sewn items from mostly vintage fabrics, linens, lace, and trims. In Button Lane you will discover unique vintage button charm bracelets. So head on over and have a look. Dianne will be glad to have you stop by. Congratulations to Yermit for winning the March OCT Treasury Challenge. She has chosen this item from her shop for the April Challenge. Please include this Softie Doll in a treasury with at least 10 other Oh Canada Team Members. What would be really great is if the last 6 are also Canadian Etsians too, but they certainly don't have to be. Also, be sure to tag your treasury with "OCT challenge", "ohcanadateam" and "etsyteams" and include the phrase "OCT challenge" somewhere in your title so your treasury can be easily found. The Challenge will end on May 3rd at midnight. Over the week following we will gather the votes for the most popular T.
We are happy to announce that from April 10-16, 2011, the Oh Canada Team will be having a sale to celebrate the Spring thaw. Below is a list of the participating shops, a description of their wares, and the various discounts and deals that are being offered. To go directly to a shop. just click on the shop name. Please join us in welcoming a long-awaited spring!!! Ahkriti - Indian inspired ethnic jewelry. Offering 10% off with coupon code SPRING2011. AlchemyLifestyle - all natural bath, body and aromatherapy products. Offering 15% off with coupon code SPRINGTHAW15. AnnabelleArt - Handmade greeting cards, stationery, bottlecap magnets; and AnnabelleArtFranco -French handmade greeting cards, are both offering 15% off with coupon code surprise15. aosta - vintage and handmade jewelry. Buy one and get one of lesser value for free. ArtThatMoves - art print textiles. Buy 3 sets of greeting cards and get 3 cards (of the shop owner's choosing) for free. azramomin - art and jewelry from the reclaimed and recycled. Offering 10% off with coupon code SPRINGTHAW. Boomerville - vintage jewelry, china and supplies. 10% off everything with coupon code SPRING. Chrisssmith22/The Art of Zen Crochet - ethical, sustainable, and beautiful crochet designs. 15% off everything with coupon code HEMP4SPRING. clonehardware - unique jewelry pieces using upcycled computer and electronic parts. Free shipping to the USA and Canada. Coupon code is SPRINGTHAW. DarkRide - jewelry pieces made with antiqued metals and Czech glass beads. Offering 10% off everything with coupon code SPRING. ElisasDezignz - gemstone and crystal jewelry. Offering 15% off everything with coupon code SPRINGTHAW2011. frogprincessdesigns - handmade accessories. Offering 10% off everything with coupon code SPRING. humblehome - eclectic knitted, crocheted, sewn, wrapped and stitched and glued products. Offering 15% off with coupon code SPRING. JanJat - couture inspired jewelry. Offering 10% off everything with coupon code SPRING. JansonPottery - handmade porcelain pieces. Offering 10% off everything with coupon code SPRING2011. jensdreamdecor - handmade photo memory boards. Offering 10% off everything with coupon code SPRING2011. JewelsbyJasmin - handmade gemstone jewelry. Offering 10% off everything with coupon code SPRING. Joanniel - silver and gold, gemstone, pearl, swarovski, vintage and hand painted jewellery. Offering 10% off with coupon code SAVINGS10. 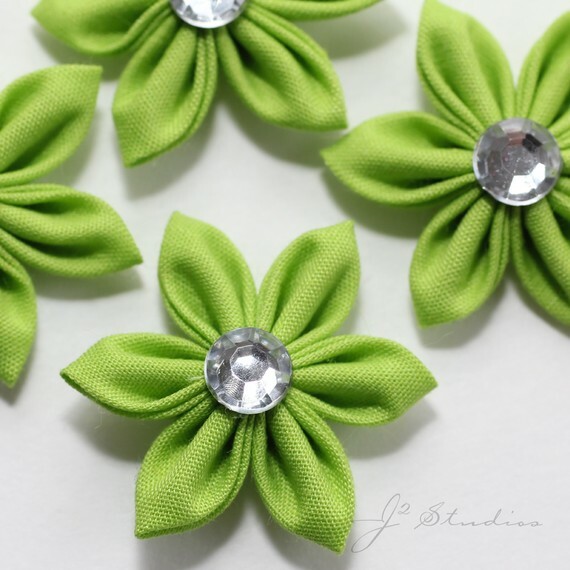 j2studios - modern twist to handmade Kanzashi flowers, Ganutell flowers and beaded flowers as well as marble coasters and square note cards. Offering 10% off everything with coupon code SPRING. 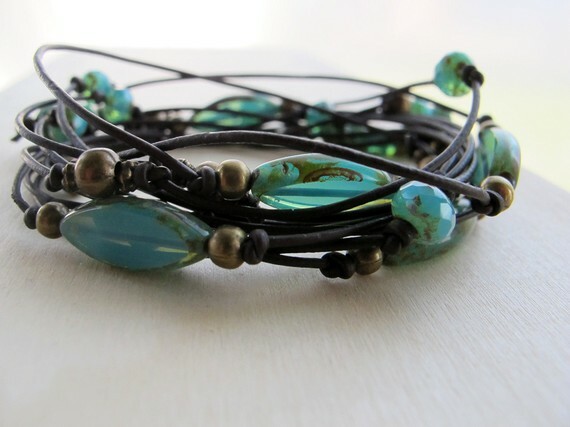 LeanneDesigns - affordable lampwork and gemstone jewelry. Offering 15% off with coupon code SPRINGTHAW. LittleBearsMom - unique jewelry pieces featuring gemstones, swarovski crystals and pearls. Offering 10% off with coupon code SPRING2011. ljangphotography - unique fine art photography. Offering 30% off everything with coupon code SPRING. 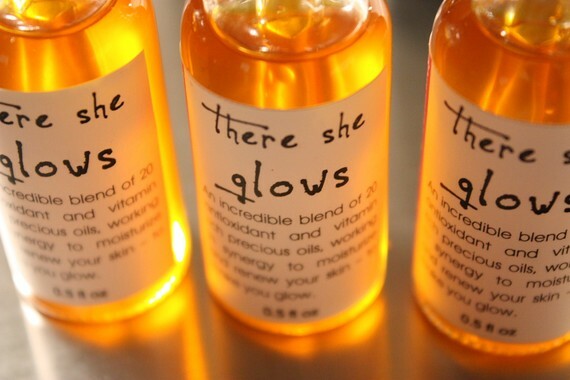 MyOrganicChemistry - luxurious, organic skincare products. Offering 15% off everything with coupon code OCT1016EASTERSALE. NoorJewels - elegant, timeless jewelry pieces. Offering 15% off with coupon code APR2011. 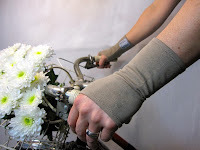 RecycledandResewn - recycled fabric, wool and plastic wearables, accessories and decorative items. Offering 10% off with coupon code SPRINGTHAW10. Saturations - fused, slumped and manipulated glass jewelry and home decor. Offering 10% off everything with coupon code SPRING2011. Stuffbysteph77 - handmade greeting and note cards. Free shipping with coupon code SPRINGTHAW. Taibossigai - Objibwa art. Offering 10% off with coupon code SPRING2011. Tarapparel - designer summer dresses, skirts, pajamas, knits, and jewelry. Offering 10% everything with coupon code SPRINGTHAWSALE. TheBackYardBear - upcycled, reclaimed products. Offering 10% off of everything with coupon code SpringBearSale - 10 percent off. TheOldBarnDoor - vintage postcards, stamps and covers. Offering 10% off everything with coupon code SPRING. TheSilverBobbin - reusable sandwich and snack bags. Offering 15% off everything with coupon code SPRINGTHAW. TreasuresbyTeala - unique handmade jewelry and photography items. Check out her sales section. VintageCanadian - vintage digital documents. Buy 3 get 1 free. See shop for details. Vitrine - wire wrapped gemstone jewelry. Offering 10% off everything with coupon code SPRING. 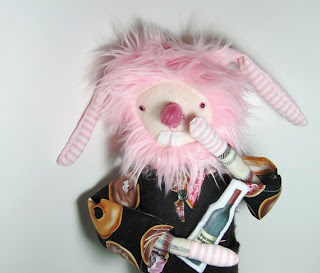 Yermit - unique handmade fabric dolls and animal softies. Offering 10% off everything with coupon code SPRING.